Description: Galileo presents an eight-powered telescope to the Venetian Senate and is rewarded by a doubling of his salary and life tenure at the University of Padua, but he is disappointed by the fine print of his contract. Bio: Mark Thompson, a professional cantor and amateur astronomer, has appeared as Galileo on radio, at community theatres and libraries, public schools, colleges and universities throughout the country. He has performed as Galileo for civic organizations, astronomy association conventions, marketing and outreach programs as well as private events and parties since 1996. 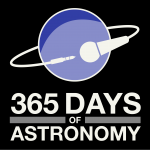 Today’s sponsor: This episode of “365 Days of Astronomy” is sponsored by Clockwork Active Media Systems. Clockwork invents, designs, develops and maintains web applications that market, sell, streamline, automate and communicate. Visit http://www.clockwork.net or email inquiries at clockwork dot net to get started on your web project. Dear Listeners: Last night at the Eugene Cernan Earth and Space Center at Triton College near Chicago, Illinois, Galileo Galilei appeared before an audience of more than 100 souls, having recently arrived from Venice, Italy where just the day before he demonstrated an unusual optical device to the Senators of the Venetian Republic from the bell tower on St. Mark’s Square. We’ve been fortunate to secure an audio clip of this remarkable speech, which is coming to you right now…………. I want to thank you for your warm reception here tonight. I think you should know that I did some investigations about Triton College. As an untenured mathematics professor, I am always on the lookout for job possibilities. So this is what I found: since its inception the Cernan Center has invited 24 honored guests to speak at this so-called “Big Event” for members. I, Galileo Galilei, am the 25th speaker. This is all well and good. I am number 25. Now according to my calculations 10 of my predecessors have been sent into space. Then tonight, as I was walking by the gift shop in the corner of my eye I see on display a book — entitled The Last Man on the Moon. And I was startled to realize that this book was written by the very same individual for whom this place is named. So I bought it. Here it is. I would like to get the author’s autograph. Is Signor Eugene Cernan here tonight? This is not a good sign. God only knows what he did. But if he was the last to be sent, what are the odds that I am next? 10 souls out of 25 have been sent up to heaven. Nearly one-to-one, yes? I am not a gambling man but I am a mathematician and those odds are not good. Or very good, depending on your point of view. Which leads me to my next question: Are there any members of the press or other officials from the Inquisition out there among you? I am surprised. We’re not that far from Chicago. Good. I hope I am safe, but hope is never good enough. In Italian we have this expression: “Speranza ha le ale molto pigre e la fortuna velocissima.” Which means: Hope has feeble wings and fortune swift ones. Look, I admit when it comes to investigating the physical laws of nature I have been blessed with strong powers of discrimination, but in matters concerning human behavior — I’m not so hot. I am never sure who wears a mask nowadays. Sometimes I remind myself of a monkey who looks in a mirror. And believing so strongly that there is another monkey in there because the image seems so real and live to him, he discovers his error only after running behind the glass several times to catch him. Well the truth is some poor fellow from the Netherlands is probably trying to catch me right now. It’s just as well that I escaped from Venice last night because yesterday was quite a day and I’m sure he would like nothing better than to stick a stiletto in my back, because he probably feels that I stuck one in his. It’s a long story. Can I trust you to keep a secret? Although it all started just a few weeks ago, to me it already seems like a lifetime. First, a little background. Even though I am a Florentine, I have been living for many years in Padua because of my appointment at the State—the “serene” Republic of Venice. You see, I am a mathematics professor at the Bo—the University of Padua. My salary is decent, I can’t complain, but it’s barely enough to support my mistress in Venice and our three young children. Not to mention my mother, my good-for-nothing brother and my sisters, whose dowries I am still paying off. So to make ends meet I let out rooms to students in my home in Padua and when I am not lecturing at the university I give them instruction on my geometric compass, motions and trajectories of falling bodies and military fortifications and so forth. Only rarely am I able to escape my hectic schedule, however just a little over four weeks ago, July 19 to be exact, I had one of those fortunate opportunities– and I left Padua by boat to visit some friends in Venice. It was a trip that I think will change my life. Shortly after my arrival there, I heard a riveting rumor: that in Holland, apparently a common… spectacle maker had devised some kind of tube containing lenses that could make distant objects seem near. It was reported to me that with this device, a man two miles away could be seen as if he were but a few paces away. If it were true, then this seemed to me such a marvelous invention that I could not get it out of my mind and for several days I tried to investigate the veracity of this rumor with my friends. We discussed all possible explanations of how a mirror or lens could make objects appear larger. Then, three weeks ago I received some alarming news: a Dutchman had just arrived in Padua and he was actually exhibiting one of these peep tubes to the authorities, and they were very excited. I was beside myself — seized with an overwhelming desire to possess this novel thing — at the very least to understand how it works. So as soon as I could, I caught the next boat back to Padua in hopes that I might intercept this foreigner with his fanciful tube. That was August 1st. But when I arrived, I was horrified to learn that he’d just taken the last boat to Venice where he planned to sell his secret to the Republic. I felt like that monkey running circles around that mirror. I was obsessed. Not so much with him, but with that tube! What if I could make such a device—only more powerful? What opportunities could lie before me? Maybe, I could escape my life of servitude to the state and move back home finally–to Firenze, and serve a prince instead–at a more free and leisurely pace? Now that I would like! I knew that this device must have its foundation in the science of perspective so I began to experiment with different combinations of concave and convex lenses to see which curvatures worked best. The next few days were frantic. I busied myself grinding lenses and set about constructing a tube for them. In the meantime I had already sent word to my friends in Venice that I had discovered the secret and that we had to beat this fellow from Flanders at his own game so I could present my tube that could magnify objects by 8 times! Fortunately, my friends succeeded in stalling him and the Venetian senators. I will be perfectly honest with you. Sometimes it is helpful to “corrompere qualcuno”—how do you say? “grease the palms” of those in high places to get what you want. But why am I telling you? You already understand this! This is Illinois! I am afraid this is all we have time for, dear listeners. Stay tuned for future updates…. 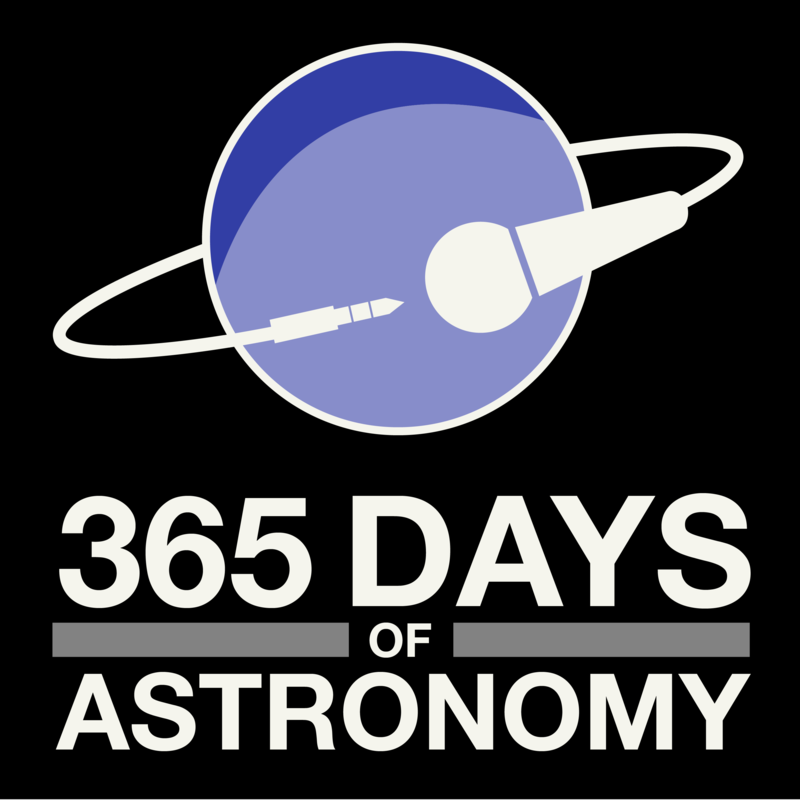 Mark Thompson, a professional cantor and amateur astronomer, has appeared as Galileo on radio, at community theatres and libraries, public schools, colleges and universities throughout the country. He has performed as Galileo for civic organizations, astronomy association conventions, marketing and outreach programs as well as private events and parties since 1996. 2009 IYA was an exceptional year for us at the Confederation of Indian Amateur Astronomers (CIAA) to disseminate Astronomy among the people. It helped us to make people believe that “The Universe yours to discover”in all practical probability.